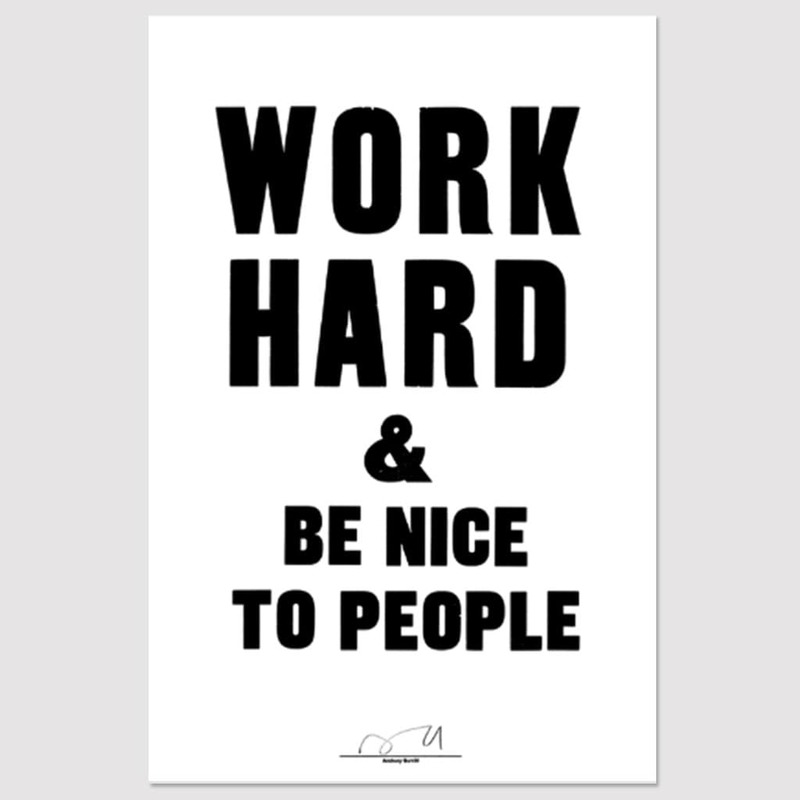 Work Hard & be Nice to People. This inspirational typographic statement poster is by graphic artist Anthony Burrill. Printed by Adams of Rye onto 100% recycled paper using traditional letterpress techniques, this print is also available in grey and yellow.